Get your 21st birthday party started properly and organise some wheels to the club. Limo’s are a great choice when looking to arrive somewhere in style, in fact, some limos can be the place to party and come with their very own neon lit dance floor! Limos come in all shapes, colours and sizes, so be sure to shop around if you have a particular look in mind, local hire companies are sure to have a good selection available. Hummer limos are currently all the rage, providing a luxurious ride to your destination and a surprising amount of space inside so you can get the party started en route, but with so many different types to choose from, you can pick from pink Hummers, white Bentley’s or black stretch to suit your tastes. If you’re looking to arrive somewhere like you’re on the red carpet, then a limo is definitely what you’re looking for. Chauffeur driven by professional drivers, suited and booted to make you feel like a star, they will open your door for you, open your champers for you, and be on hand to take care of your every need as they whisk you away to your destination. And your limo will come stocked with a wide range of items, such as drinks, music, and even smoke machines are available in some models! Most limos come with CD and DVD players, a stocked bar and, for your 21st, often filled with balloons to give you in that 21st birthday feeling. If you don’t have a destination in mind, your limo can provide the party as you cruise around for a couple of hours, using the car as your mobile dance floor. Most hire companies have an option available that allows you to take in the sights of your nearest big city while you celebrate in the back. 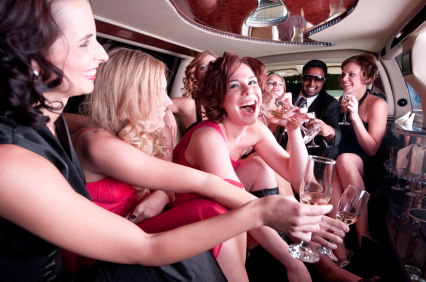 Prices for hiring a limo vary, depending on the number of passengers and the distance to your destination. Return journey’s are available and will obviously cost extra, but may not be double the price of a single journey, so if you’re looking to return by limo always be sure to ask the cost when you request your quote. Passenger numbers are obviously limited, so remember to check to ensure your limo can accommodate everyone before hiring. And then all that’s left to do is sit back, enjoy the ride, and get that party started in style!